What Is Unicode? What’s Missing From Unicode? links to pdf show all the Unicode glyphs. The table in organised in groups for each language or function. 1E00 247k Ḍ Latin Extended Additional: dotted letters, letters with two accents. 2300 263k Miscellaneous Technical: APL operators. 2400 88k Control Pictures: for displaying unprintable ASCII control chararacters. 2460 140k Enclosed Alphanumerics: see Dingbats 2700 for more circled digits. 2600 337k Miscellaneous Symbols: chess, astrology, I-ching, telephones, hazards, religious symbols, hammer and sickle. 2700 215k Dingbats: asterisks, ornaments, hands, right-pointing arrows, pencils, scissors, pens. See 2460 for more circled digits. 27C0 150k Miscellaneous Mathematical Symbols-A: including SQL left, right and full joins. 3040 142k Hiragana: (Japanese) Used when no Kanji character exists. FFF0 72k Specials: byte order marks. 0001D300 125k 퍎 Tai Xuan Jing Symbols: Look like I-Ching hexagrams truncated to four lines. ⁶0001F300 625k Miscellaneous symbols and pictographs: including pile of poo. 000E0000 136k Tags: control characters. Informally, Unicode is a 16-bit character encoding, with surrogate pairs to handle 32-bit, used internally in programs written in Java. More precisely, Unicode is not a character encoding, but a 32-bit character set. UTF-8, UTF-16 and UTF-32 are character encodings in which the Unicode character set can be encoded. See the example glyphs, in PDF format. Requires Adobe Acrobat to view. Also available as ASCII text file describing the glyphs with cross references to similar glyphs. Unicode does not standardise the precise shapes of the letters, i.e. the glyphs. It does, however, provide example glyphes. This distinction is most important for Hangul which encodes Chinese, Japanese and Korean. They use the same Unicode encodings, but quite different looking renderings of the characters. These differences are handled by the font designer who uses Chinese, Japnese or Korean style. Sometimes called UCS (Universal Character Set) or ISO (International Standards Organisation) 10646. 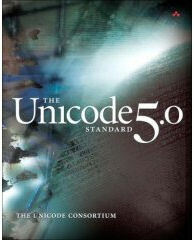 Unicode allows Java to handle international characters for most of the world’s living languages, including Arabic, Armenian, Bengali, Bopomofo, Chinese (via unified Han), Cyrillic, English, Georgian, Greek, Gujarati, Gurmukhi, Hebrew, Hindi (Devanagari), Japanese (Kanji, Hiragana and Katakana via unified Han), Kannada, Korean (Hangul via unified Han), Lao, Maylayalam, Oriya, Tai, Tamil, Telugu, Tibetan… Unicode will make it much easier for non-English speaking programmers to write programs for English speaking users and vice versa. To get musical symbols you need 32-bit Unicode support. Emoji are scattered all over the map, not collected togethir in a block the way everything else is. In Java, you get at the exotic characters by encoding them in hex in your strings like this: \u00f7\u2713 to produce ÷ ✓. See String literals for more details. In HTML (Hypertext Markup Language), you get at the exotic characters by encoding them as entities such as &divide;&#x2713; to produce ÷ ✓. This does not mean your fonts will support all these wonders, of course. In addition there all kinds of interesting special characters such as: Alphabetic Presentation Forms, APL (A Programming Language), Arrows, Bengali, Block Elements, Box Drawing, Braille Patterns, Byzantine Musical Symbols, Combining Diacritical Marks, Combining Half Marks, Combining Marks for Symbols, Control Pictures — icons for control chars, Currency Symbols, Dingbats, Enclosed Alphanumerics, General Punctuation, Geometric Shapes, Halfwidth and Fullwidth Forms, High Surrogates, Ideographic Description Characters, IPA (International Phonetic Alphabet) Extensions, Letterlike Symbols, Low Surrogates, Mathematical Alphanumeric Symbols (32-bit Unicode), Mathematical Operators, Mathematical Symbols, Miscellaneous Symbols (astrology, chess, playing cards), Miscellaneous Technical (del, grad, integral), Musical Symbols, Number Forms (e.g. Roman numerals), OCR (Optical Character Recognition) — the OCR-A (Optical Character Recognition font-A) MICR (Magnetic Ink Character Recognition) characters used in magnetic ink cheque encoding), Old Italic, Runic, Small Form Variants, Spacing Modifier Letters, Specials, Superscripts and Subscripts, Tags (letters with price tags), Unified Canadian Aboriginal Syllabic and Variation Selectors. There are even more arrows defined in Unicode: 2190-21ff, To use these characters in HTML, you need to code them as &… entities. Nic Fulton of Reuters has written an Java Test Applet that can display all 64 thousand Unicode characters including the Chinese/Korean Han. How many of them actually display on your screen depends on the font handling ability of your browser and operating system and which fonts you have installed. In Java programs, intractable Unicode characters are represented in the form '\uffff', with four hex digits. Ordinary characters like 'A' are actually 16-bit Unicode too. How do you create and edit the various flavours of Unicode documents? You can create them in some specific encoding then convert them. To write a little utility to do that read up on encoding and ask the File I/O Amanuensis for sample code. You can use lowly Notepad in Windows NT/W2K/XP to edit existing documents but not earlier Windows versions. You would have to acquire an almost empty Unicode document for getting started with new documents. It is even clever enough to deal with byte order (endian) marks. Recent version of MS Word in Windows NT/W2K/XP/W2K3 also work. See the literals section for a full explanation of how to code 16-bit Unicode characters in Java programs. Java does not have 32-bit String literals, like C style code points e.g. \U0001d504. Note the capital U vs the usual \ud504 I wrote the SurrogatePair applet to convert C-style code points to arcane surrogate pairs to let you use 32-bit Unicode glyphs in your programs. There are two different standards, Unicode which assigns glyphs to numbers and UTF (Unicode Transformation unit) which describes how you encode these number in a file. Byte order marks are part of the UTF standard, not the Unicode standard. See more on BOMs (Byte Order Marks). Variant forms for Arabic letters use at the beginnings, middle and ends of words. Unicode is not concerned with typesetting, just with raw text. In other words, it is about characters, (logical letters) not glyphs (how letters are precisely shaped). Unicode has various flavours of digits, that look much the same, but they are intended to be used in different contexts. To typeset, you need separate fonts to handle such variants, with the letters encoded with the same Unicode character. The word processor automatically selects the appropriate variant. I don’t know the mechanism by which a word processor can tell which fonts are related and which styles and font-weights each supports. Presumably it is encoded somehow in the font files. To a large extent ligatures are handled outside Unicode by automatically combining Unicode characters, though there are a few ligatures that rate a special Unicode character. custom Java program that uses a FileWriter with UTF-16, UTF-16BE, UTF-16LE, or UTF-8 encoding. nativetoascii.exe, Oracle’s encoding translation utility. Eclipse IDE (Integrated Development Environment). JEdit: a programmer’s text editor that also supports a few dozen other encodings and has piles of plugins for various purposes, plus syntax highlighting for lots of languages. You can edit or create UTF-8 or UTF-16 files with windows notepad. Unicode 8.0.0 is the latest version of the Unicode Standard. JDK (Java Development Kit) 1.8.0_131 supports version 6.2.0 though I doubt Java will need to change at all to support 8.0.0. All later versions of Unicode do is add more potential characters to fonts. a standard collation algorithm for various national orderings. A common locale data repository. Improvements to the encoding model for UTF-8. Rigorous stability of case folding. The current version is 8.0. There have been no comprehensive books published since this one.